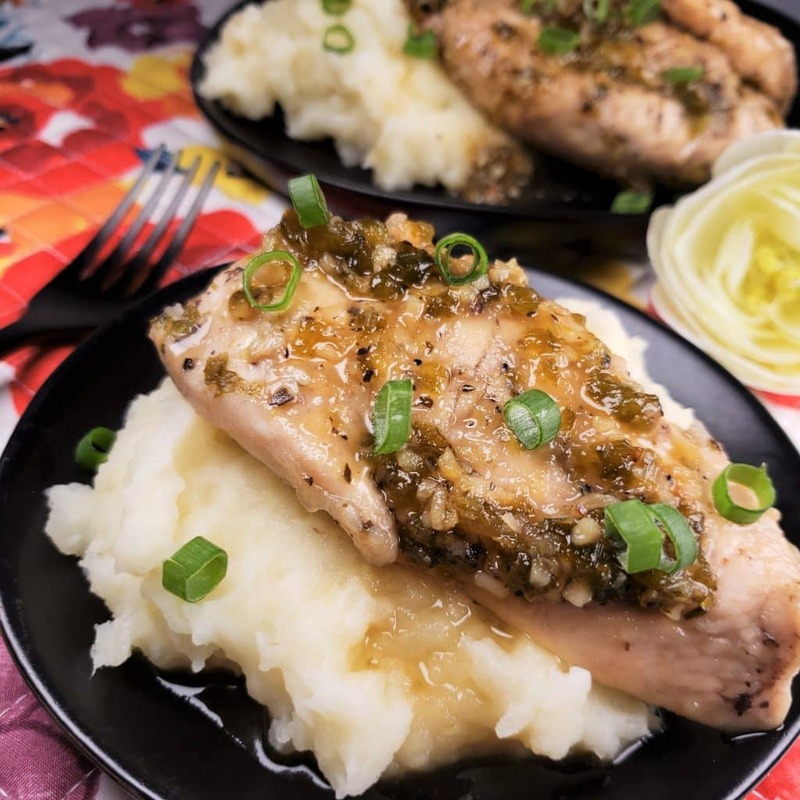 Pressure Cooker Jalapeno Honey Chicken is bursting with sweet pickled jalapenos, tons of garlic and smothered in a thick honey glaze. 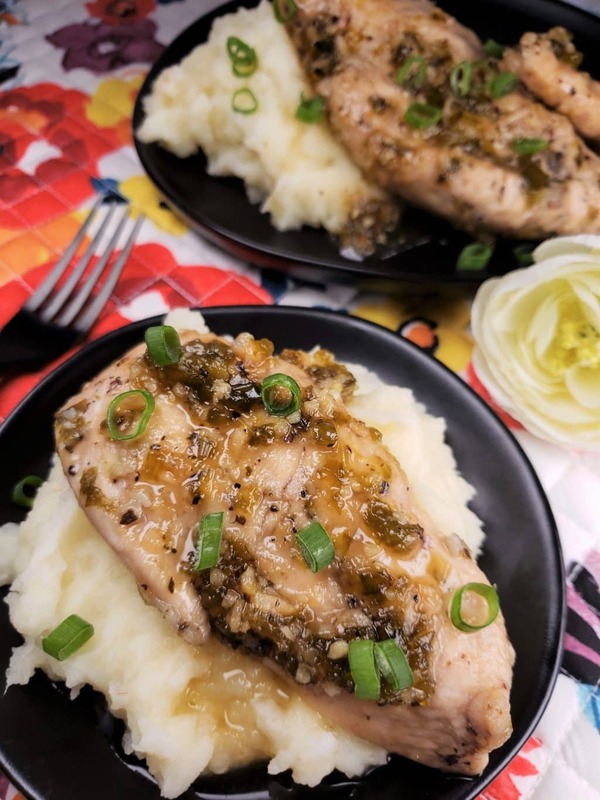 Pressure Cooker Jalapeno Honey Chicken is bursting with sweet picked jalapenos, tons of garlic and smothered in a thick honey glaze. 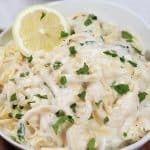 It is a perfect freezer meal and an easy make a head “dump” meal. 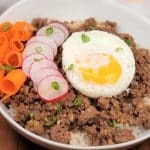 It is so easy to make in your Instant Pot, Mealty MultiPot or Pressure Cooker any night of the week. Freezer Meal alert for this recipe! If chicken is on sale, buy a bunch and divide them into dinner portions. 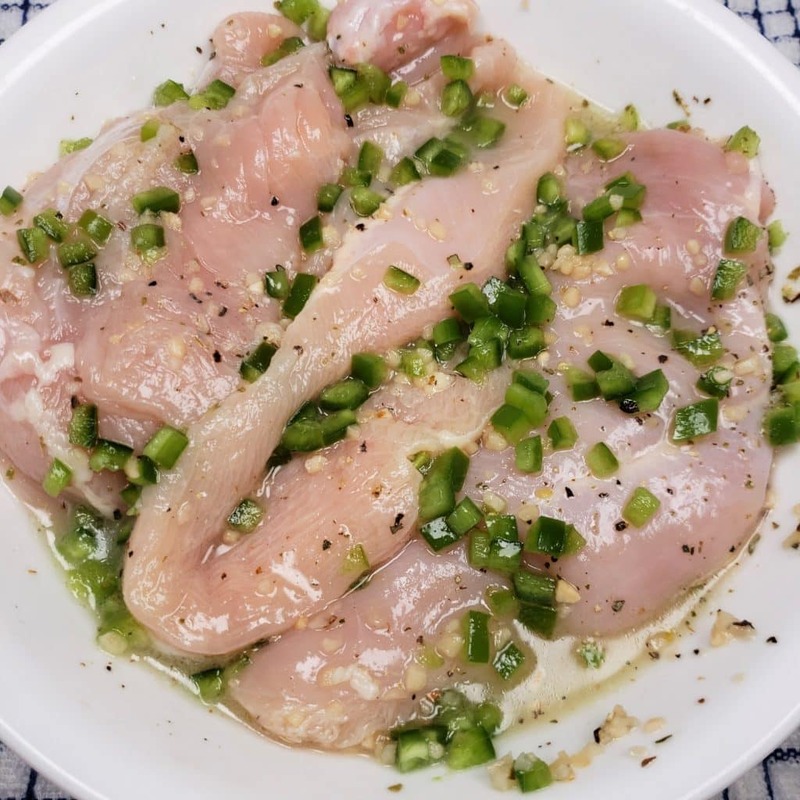 Use a FoodSaver Vacuum Sealing System and when you feel like Jalapeno Honey Chicken, take out a pouch the night before. 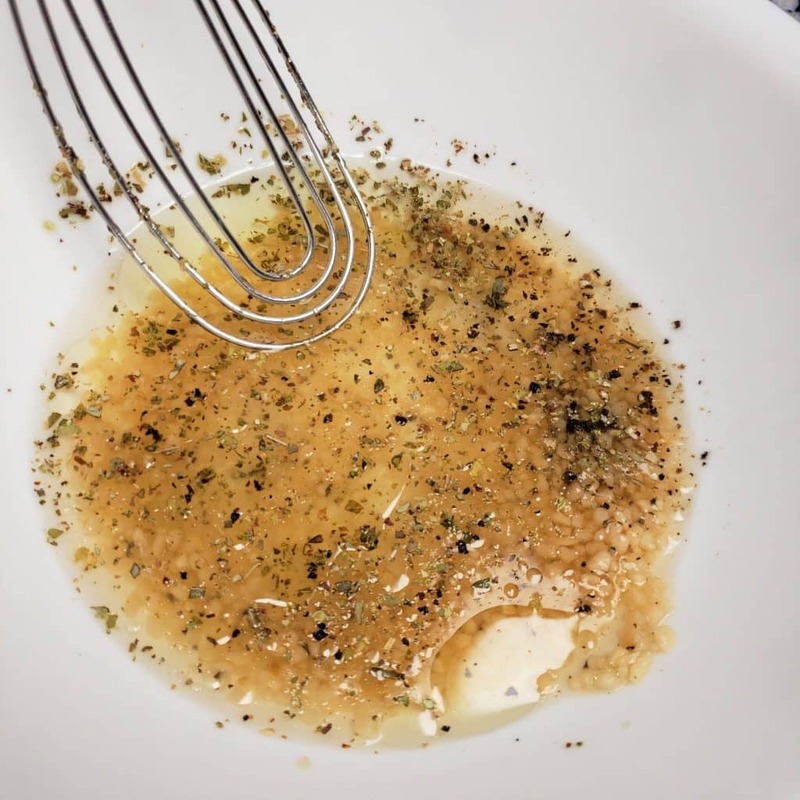 Grab a good whisk and vigorously mix up the marinade. 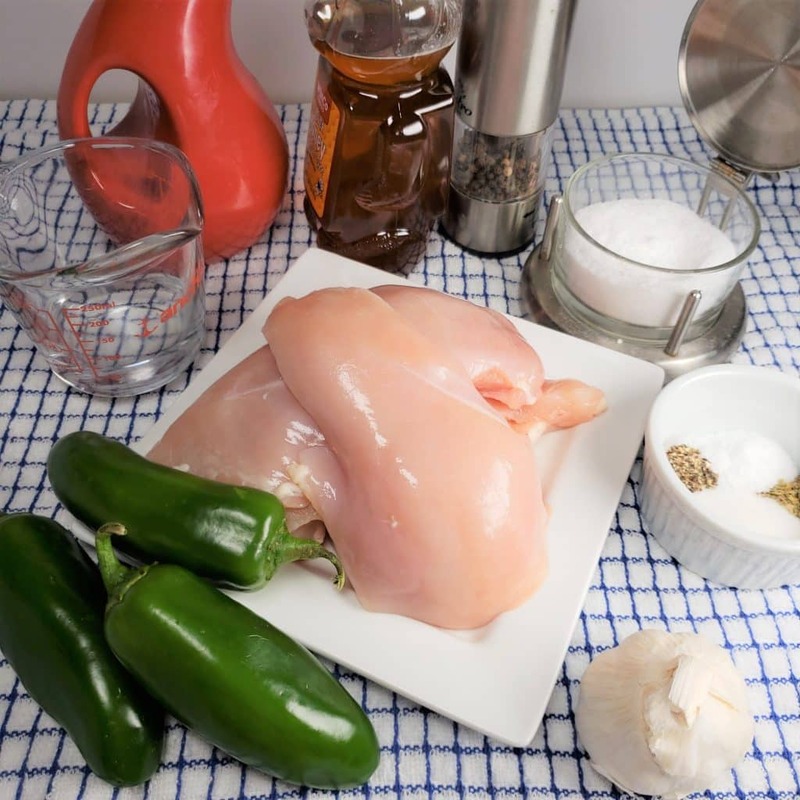 Ingredients to Pressure Cooker Jalapeno Honey Chicken. 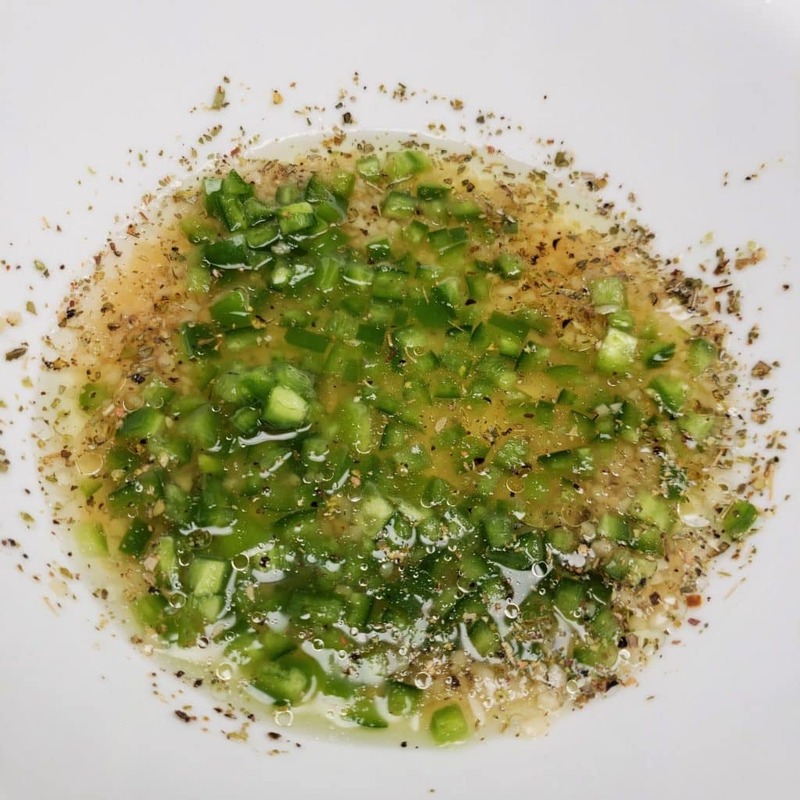 Essentially, this is how you make pickled Jalapenos. 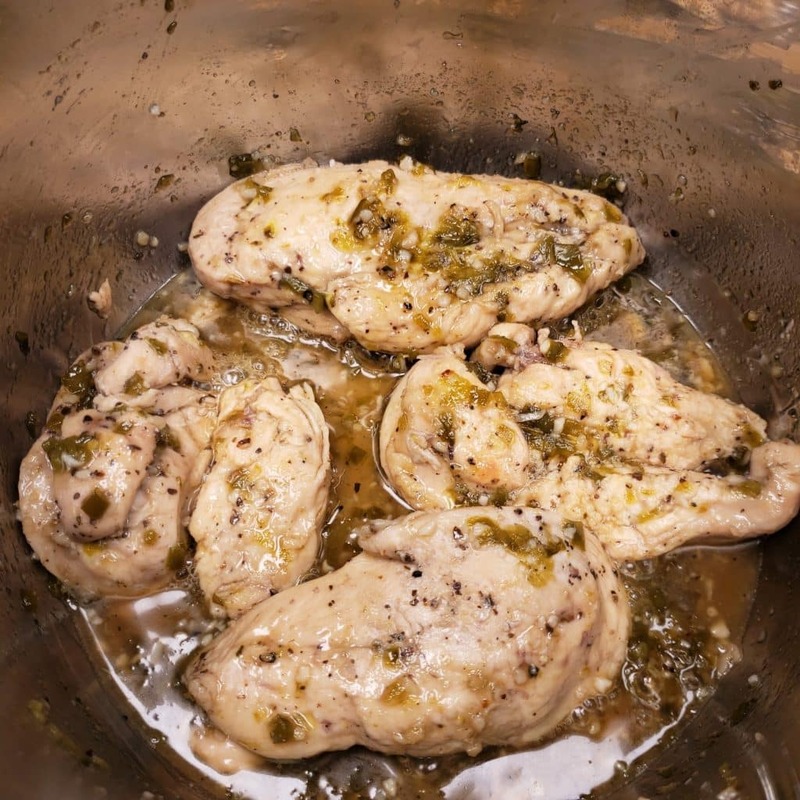 So, while pickling the Jalapeños in the Instant Pot DUO Plus, Mealty MultiPot or Pressure Cooker the chicken cooks, at the same time as the Garlic Mashed Potatoes. How to Make Pickled Jalapeños. Whisk together ingredients for pickling. Add the dressing to a pan with sliced jalapeños. Boil it on the stove top and then cool down. Store in jars and chill, until ready to use. The longer the chicken marinates, the better. It is a good time to work on the potatoes while the chicken is marinating. If you soak the potatoes for 30 minutes, much of the starch will rinse away. The potatoes will be much fluffier and tastier. What is a Dump and Push Recipe? 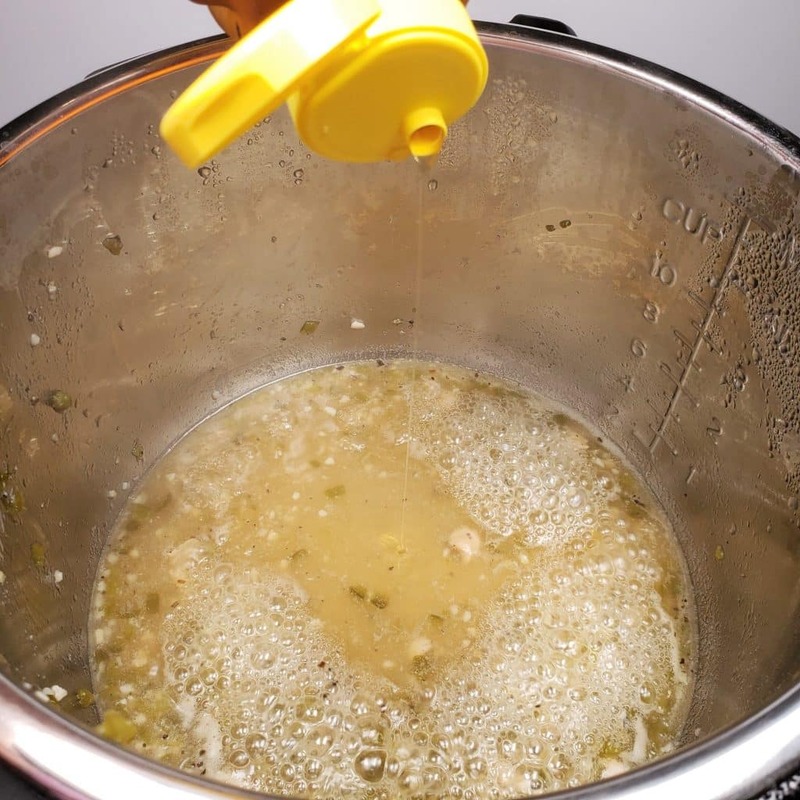 A dump and push recipe is a process of adding all the ingredients to the Instant Pot, Mealty MultiPot or Pressure Cooker and then setting the time. There still may be some simmering after the cook time is up. Dump and Push recipes are often good to package up for Freezer Meals. 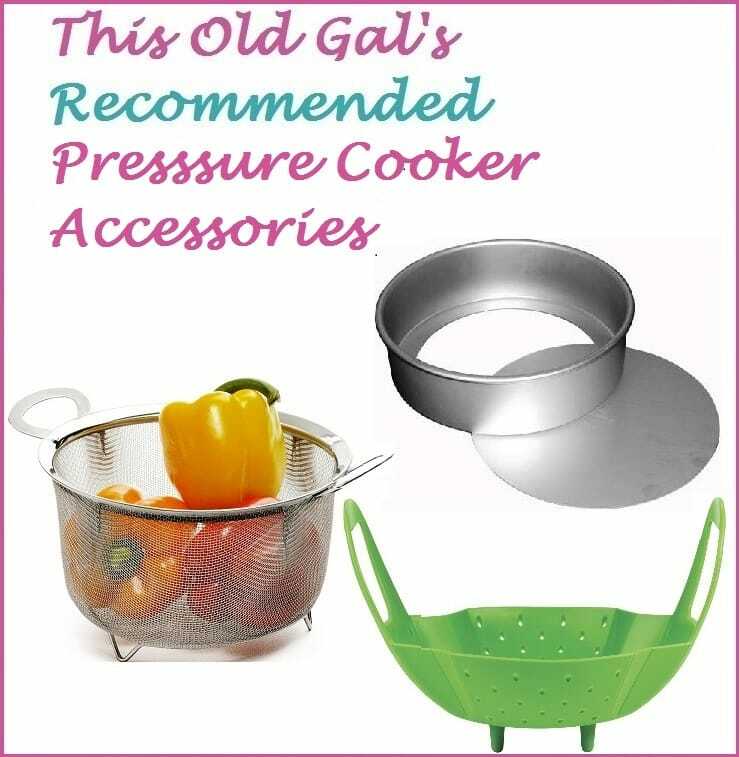 Other Dump and Push Recipes for the Pressure Cooker. If making potatoes at the same time, you will need to use a tall trivet. This excellent steamer basket is wonderful for steaming food! While the liquid is reducing, you can make the Garlic Mashed Potatoes. The honey will thicken the glaze and become a bit sticky. You many want a sweeter glaze and if so, just add more honey. The chicken will finish cooking once it returns to the pot and simmers with the honey. Add more diced jalapeño if you like! It will add a bit of crunch. 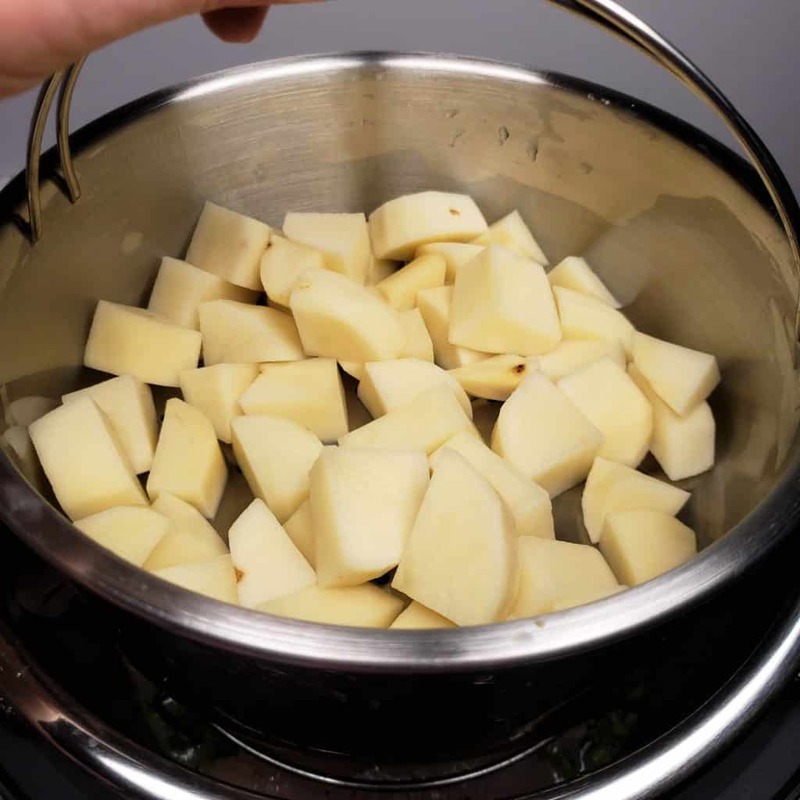 See my Pressure Cooker Mashed Potatoes recipe for how to mash potatoes, so they are not gummy. Did you know that Yukon Gold potatoes do okay boiled in water, but Russets break a part and shouldn’t be boiled? Both types of potatoes are perfect for steaming! If you are watching carbs, try my Pressure Cooker Mashed Turmeric Cauliflower instead of potatoes. 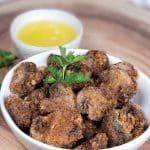 For jalapeno lovers, try my Air Fryer Bacon Wrapped Chicken Jalapeño Poppers. In a medium mixing bowl, whisk together vinegar, olive oil, jalapeños, garlic, sugar, salt, pepper and oregano. Peel (or not) and cut potatoes into cubes. Place in a bowl of water and aside for 30 minutes. 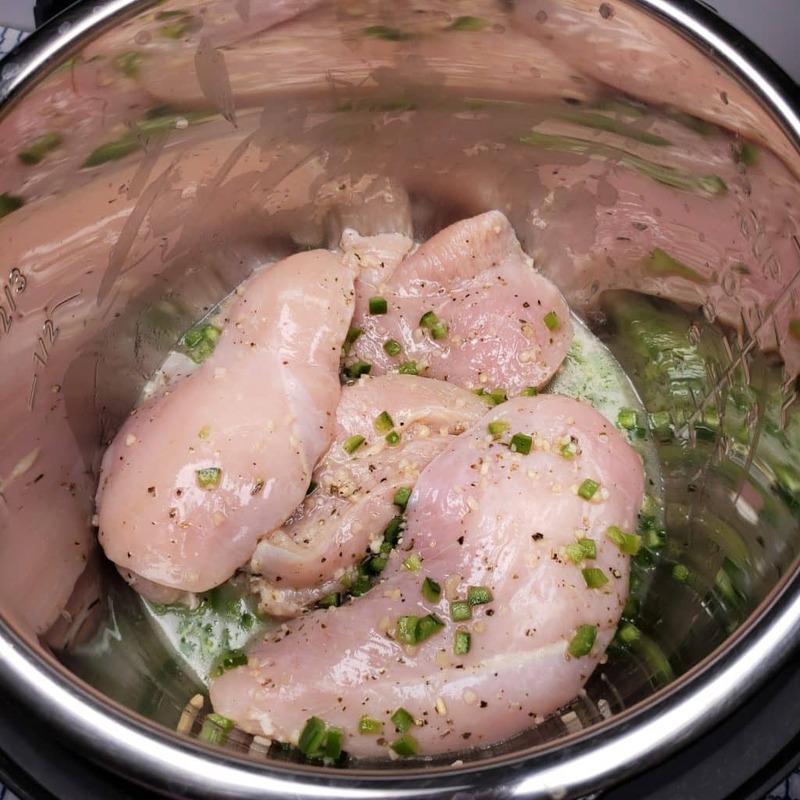 When ready to cook, dump chicken and marinade into pressure cooker cooking pot. Place trivet on top of chicken. Drain potatoes and place in steamer basket with garlic (if using) and place basket on top of trivet. Lock on lid and close pressure valve. 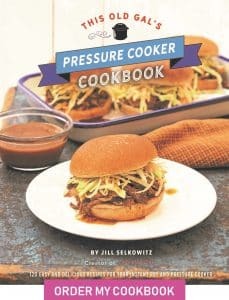 Cook at high pressure for 3 minutes. When beep sounds, wait 10 minutes and then release the rest of the pressure. Remove lid and place chicken on a plate. Select Sauté/Browning simmer for 5 minutes, or until liquid has reduced 50%. While liquid is reducing, mash potatoes and then add milk and mash. Add salt and mix through. Add butter and combine. Taste and adjust as needed. Stir in honey and return chicken to pot to coat. Simmer, about 2 minutes, or until glaze is thick. Plate chicken and drizzle glaze. Garnish with chopped scallions. Dark meat can be substituted for white meat. Add one minute cook time. All the garlic can be added to the marinade, if you prefer not to make garlic mashed potatoes. No mention of how much water in this recipe for Chicken or potatoes. Does pickling the jalapeños calm them down or are they still as spicy hot? Don’t want to undo the grandkids with sensitive palates! 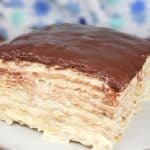 OMG….this recipe is the bomb!!! I didn’t chop the peppers up like in the picture but did split lengthwise and removed the seeds and the flavor was so delicious and not hot in spice like I would have expected but oh so tasty. I’ll admit I was skeptical that there wasn’t as much liquid as I am accustomed to but it worked out and the chicken was very tender and tasty from the peppers. Filed this recipe under my “make again” folder as it is worthy of repeat performances. Thanks for sharing. 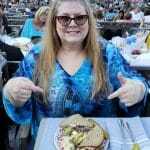 Hi, This looks delicious as I have honey bees and always looking for recipes to use my honey. Sorry, but I’m confused. In comments at top you say to boil jalapeno mixture, which I thought is how it’s “pickled”. But on recipe card, it just says to mix and add chicken to marinade. Does it not need to be boiled first? Thanks for all your wonderful recipes IP tips. We loved this. I used bone in chicken thighs and 5 minutes under pressure. I will be adding it to our regular menu.